On a fateful night in 2009, Tyler Hamilton and Daniel Coyle met for dinner in Boulder, Colorado. Over the next eighteen months, Hamilton would tell Coyle his story, and his sport's story, in explosive detail, never sparing himself in the process. In a way, he became as obsessed with telling the truth as he had been with winning the Tour de France just a few years before. The truth would set Tyler free, but would also be the most damning indictment yet of teammates like Lance Armstrong. 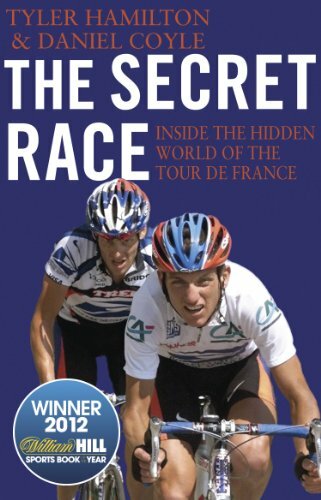 The result of this determination is The Secret Race, a book that pulls back the curtain and takes us into the secret world of professional cycling like never before. A world populated by unbelievably driven – and some flawed – characters. A world where the competition used every means to get an edge, and the options were stark. A world where it often felt like there was no choice.